For the prophylaxis and chronic treatment of asthma in adults and pediatric patients 2 years of age and older. Adolescents and adults 15 years of age and older: One 10 mg tablet daily to be taken in the evening. Paediatric patients 6-14 years of age: The dosage for paediatric patients 6-14 years of age is 5 mg daily to be taken in the evening. The dosage for paediatric patients 2-5 years of age is 4 mg daily to be taken in the evening. 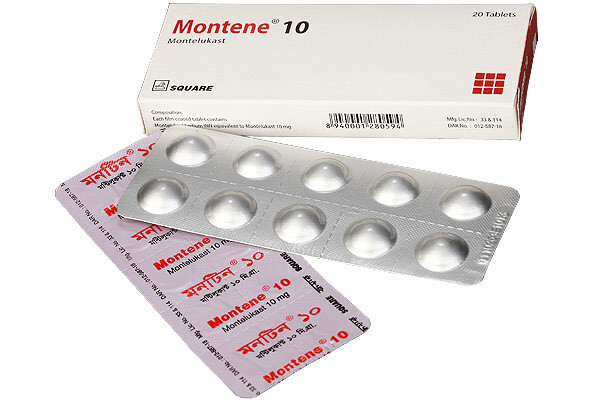 MonteneTM 10 tablet: Box containing 30 tablets in Alu-Alu blisterpack. 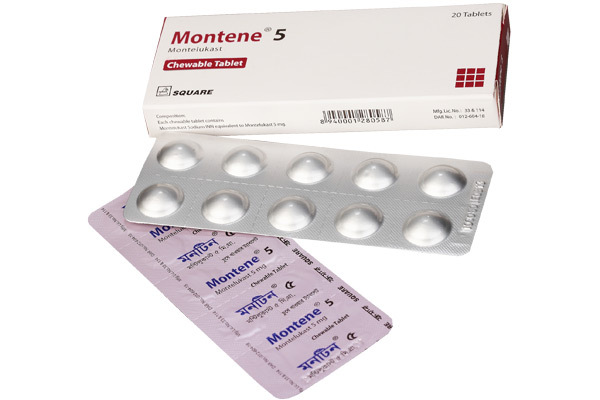 MonteneTM 5 tablet: Box containing 20 tablets in Alu-Alublisterpack. 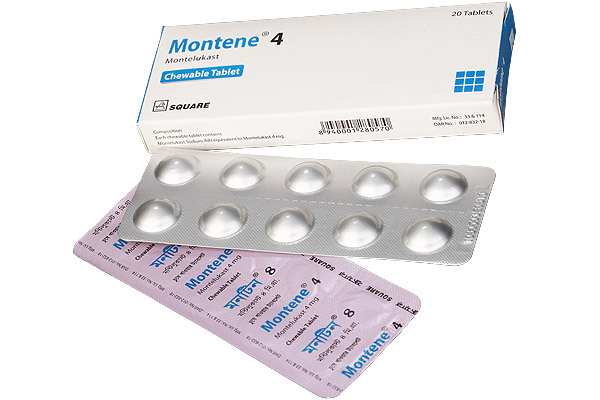 MonteneTM 4 tablet: Box containing 20 tablets in Alu-Alublisterpack.